The worldwide economic crisis has hit travel and turism hard. 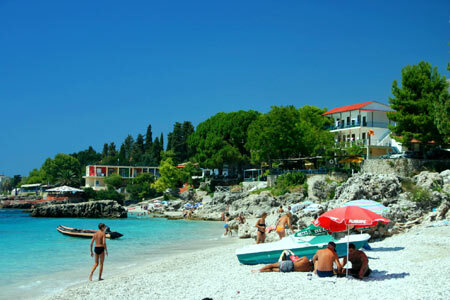 In Albania turism is blooming more than any country in the world in 2009. So far Albania has had a 36% increase and is estimated to reach 40% by the end of the year. Albania is indeed one of most beautiful lands on earth with amazing beaches, lakes and mountains. It is a totally blessed natural heaven. Also the prices of everything in Albania compared to other countries much cheaper. The Albanian Government has done an amazing job in creating a good environment for businesses by keeping taxes at 10%. This really helps business owners keep prices low for customers. Prime Minister Sali Berisha puts in impressive hourse--often working unil midnight-- to achieve his goal of building a good infrastructure, and ultimately getting Albania accepted in the European Union. Albania has made amazing progress fighting crime and tourists are very safe there. Albania has amazing places to visit and visitors are welcomed with the characteristic generosity and kindness of the Albanian people. The food in Albania is fantastic--a combination of Mediterranean cuisines including Italian, Greek, and Turkish influences. The food is so good in Albania that lots of farmers grow everything organic and Albania has strong sun light along the Mediterranean coast. If you prefer sea food Albania is the best place for it. It is fresh every day. What are you waiting for? Book your trip. You will undoubtedly be amazed. Albania is one of a handful of countries in the world with economic growth this year. According to the data released by the Ministry of Tourism, the number of foreign tourists jumped by 36% compared with the same period last year. 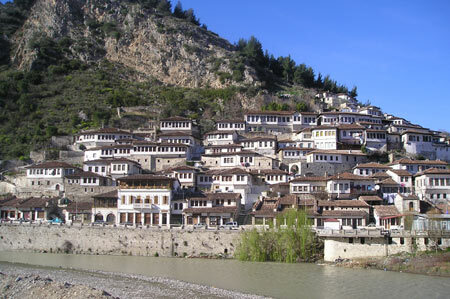 89% of all foreigners who paid a visit to Albania stated tourism as purpose of the visit. 3% entered the country for business purposes, whereas 2% made transit journeys through the country. Over 90% of tourists are foreigners from all over the world.